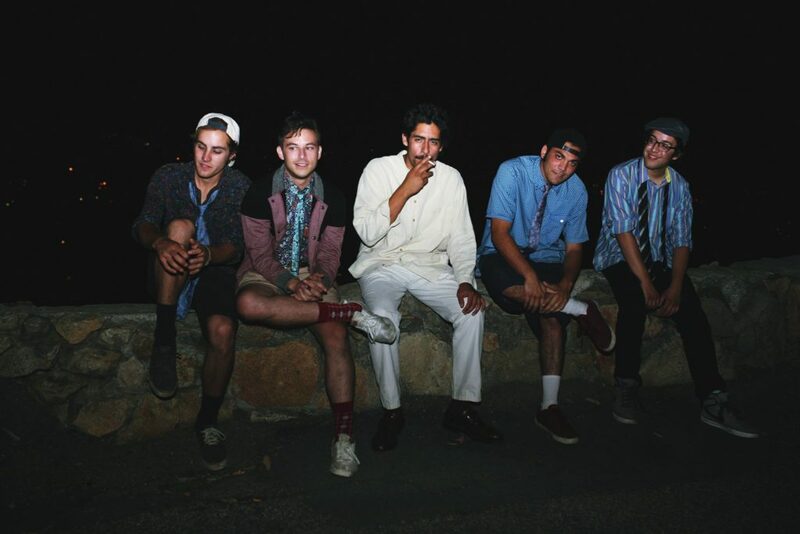 San Diego five piece indie surf rock group Splavender are premiering today “5 O’clock Shadow”, the first track which is taken from the upcoming “Chill ‘em All EP”. If today Splavender are a band, it was not the case in 2014 when singer-songwriter and multi-instrumentalist Ellis D (Danny Ellis) gave birth to this this home recording project. Later, Ellis met Grant Glibert, Oscar Carrion, Andre Flores, and Anthony Noriega and they eventually recorded all together the LP “Shoreline Dilemma” in 2015. Since then, the indie-jazz-surf-art outfit has worked on the follow up to this debut LP, mixing influences from a wide range of acts, such as Pavement, Wavves, Yo La Tengo, Steely Dan and Velvet Underground. As a consequence, their music is rich and varied, just like their inspirations. Today, Splavender are premiering “5 O’clock Shadow”, the first single of the EP “Chill ‘em All”; an EP which is also the second half of a two part release started with “Hallucinations and Hospitalizations“. This new track, that can actually be cut in different parts, sums up pretty well the spirit of the band by jumping from a synth-pop, surf rock intro to an Unknown Mortal Orchestra-infused chill section. Splavender’s “5 O’clock Shadow” is for sure the perfect chill anthem to welcome back the sunny days. Connect with Splavender via Facebook, Twitter, Instagram, Soundcloud, Bandcamp, and Spotify.